On scanning, these QR Codes will provide more admission-related information. Each of these QR Codes has been segregated according to colleges, departments and institutes. One can find the QR Codes on page 87 of the information bulletin. To help students, the QR Codes for each college have been divided based college location. So if you are searching for the QR Code of Sri Venkateswara College, it will be under the Dhaula Kuan section, while Lady Shri Ram will be in the South Delhi group. 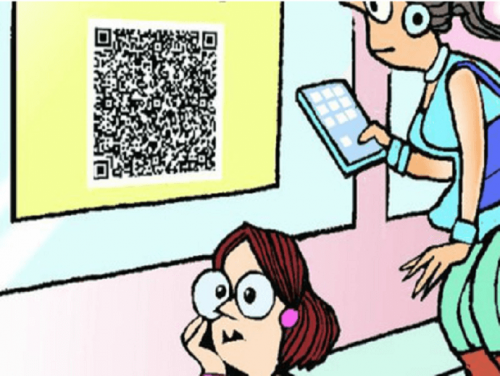 According to Delhi University officials, the QR Codes have been synced with Google Maps. On scanning the QR Code, it shows the location of the college on Google Maps along with other details like the college’s phone number, address, and working hours. Also see common use cases of QR Codes in India. This is beneficial for those who are yet to explore Delhi and its colleges, or are finding it difficult to locate the colleges and departments of the university. There are also plans by the university officials to have cut-off lists of every college attached to these QR Codes. This will allow students to access information about cut-off lists of their selected college. The QR Codes will be used during the open days. And will track the number of students who signed up for the interactive sessions and connect with them as well. However, this initiative has had its fair share of glitches too. Many students complained that as the QR Codes are placed in close proximity to each other, it leads to misfires. For instance, on trying to scan the QR Code for DSJ (Delhi School of Journalism), information for the Department of Germanic & Romance Studies opens up. This is because the QR Codes of both these institutions are placed close to each other. Also, another problem is for those don’t have access to smartphones or have the basic camera which is unable to scan the QR Codes. They can’t scan the QR Codes and gather more information. While the introduction of QR Codes in the Delhi University’s information bulletin is a good initiative, it has some issues too. It would be highly beneficial if the officials are able to find ways of working around these problems and make the information accessible to everyone. These include finding out ways to scan the QR Codes without the need to download a separate app and allowing access to information to those who do not have a smartphone.